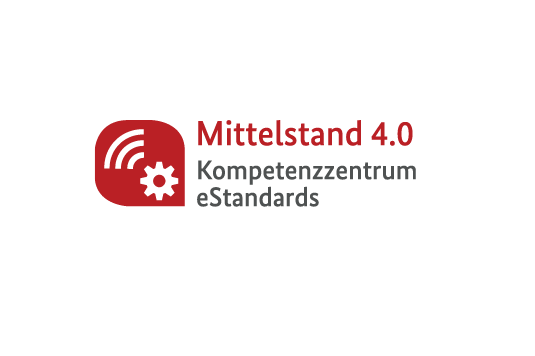 The “Mittelstand-4.0 Kompetenzzentrum eStandards” is a competence centre that brings digitalisation and standardisation to German SMEs. With the CSCP as part of the consortium, the Competence Centre specifically looks into how digitalisation can be used to enable more sustainable business models and production processes. The CSCP will conduct pilot projects, develop hands-on tools and provide comprehensive curricula to SMEs on creating future-proof companies through digitalisation. “With the Competence Centre for eStandards, we are opening the first thematic competence centre. Standards and norms are essential for successful digitalisation because they serve as a common language. Networked production, IT security, uniform user experience, data exchange, to name a few, they all require clear rules and reliable, universally valid solutions across industries”, says Dirk Wiese, MP and Parliamentary State Secretary in the BMWi. The Competence Centre engages directly with the industry and implements 40 pilot projects with businesses from various sectors. Digitalisation and standardisation enable cooperation along the value chain and open up opportunities for business model innovation. The gathering, processing and communication of information and data along the supply chain is critical to enabling circular business models, for example. A key feature of the Competence Centre are its three “Werkstätten”, perhaps best described as Experience Factories. In Cologne, Hagen and Leipzig, visitors will be able to experience the digital transformation in an interactive way. The co-working space at the CSCP offices in Wuppertal provides an inspiring setting for innovation-focused workshops that will be hosted over the next three years. The competence centre is a part of „Mittelstand Digital“, a Network of the Competence Centres and Agencies. The „Mittelstand 4.0 Competence Centres“ inform and build capacity among businesses and offer practical methods to learn, experiment and experience. The „Mittelstand 4.0 Agencies“ build a horizontal network and bring research insights and capacity building into the competence centres. The project is part of the digitalisation strategy of the German industry called “Mittelstand Digital”, which was put forward by the German Federal Ministry for Economic and Energy Affairs (BMWi). The Competence Centre eStandards is hosted by a consortium of the Collaborating Centre on Sustainable Consumption and Production gGmbH, the HAGENagentur Ges. für Wirtschaftsförderung, Stadtentwicklung, Tourismus mbH, the Fraunhofer Institute for Applied Information Technology (FIT) Sankt Augustin, the Fraunhofer Centre for International Management and Knowledge Economy IMW under the leadership of GS1 Germany.